1.WSY s mould pump is the vertical tempered glass liquid underspin whirlpool pump to the two kinds of pumps of mould type on WSY s mould and the FSY s mould that this unit produced . 2.FSY the mould pump is under the vertical tempered glass liquid centrifugal pump , this pump is because of stretching the jar laying aside , and degree of depth length laying aside the slot is different , design liquid down arbitrary selection between the degree of depth 800mm - 3000mm . Namely as long as the liquid is more than the pump aspect , does not exactly irrigate liquid and starts the liquid sending , the flat blind flange has down a leakage hole , and the liquid will not outside Xiang Zhuguan leak . This pump and the parts of medium contact is tied contracting the modified phenolic aldehyde glass fibre of Ding Quan with the polyvinyl alcohol , and being mould pressinged the phenolic aldehyde tempered glass finished piece of shaping through high temperature , and connectioing the phenolic aldehyde tempered glass pipe that Guan Chu s liquid pipe used half trunk law volume system technology to be made , the assembly of impeller axle sleeve is all glued into organic whole with phenolic aldehyde clay and the pump axle , and the next various assembly of liquid all glues the knot with the phenolic aldehyde clay , and stretching liquid decending Quan Wu s metal and the medium contact , it is absolutely reliable to endure the rotten capability , the product possesses gently nature and excellings in and unchangeable the fine capabilitys such as shape and endure Wen s corrosion preventive etc , can partly replace Han s aluminium stainless steel at the aspect of preserve and iron and the titanium alloy etc the valuable metal . 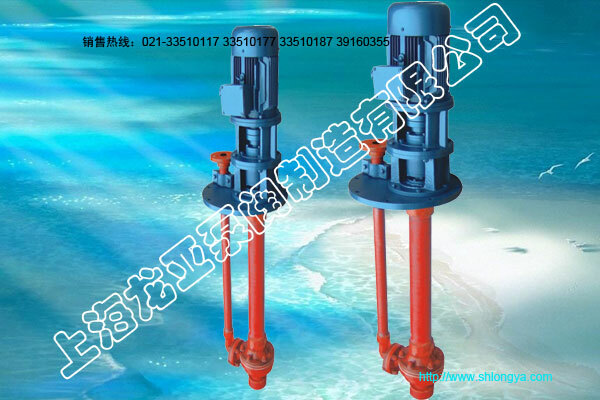 The pump is at transmission and the revolving direction : The mould elasticity shaft coupling of pump by way of the paw is by electromotor direct drive , and sees that the pump is the clockwise revolving from the electromotor end . The trades such as the chemical industry and Shi Hua smelts , dyestuff , pesticide , pharmacy , rare soil and chemical fertilizer etc that this pump is extensively used , lays aside on the jar carrys not Han s suspended solid anything small and roundish , not easily crystallizes , the temperature not mores than various non- oxides of 100 ℃ acid ( hydrochloric acid , dilute sulfuric acid , formic acid , acetic acid and butyric acid ) etc the most ideal equipment of corruption medium . COPYRIGHT © 2010 SHLONGYA.COM ALL RIGHT RESERVED.